Providing San Diego and Southern California with Award Winning DJ/MC and Entertainment Services. We specialize in Weddings, Corporate and Formal Events, Fundraisers, Athletic Events and Corporate Meetings & Functions. Our personal attention to detail, professionalism and price points will allow you to enjoy your event without breaking the bank. Thank you for your visiting Pro Motion Entertainment – providing DJ/MC, Lighting, A/V and Production services for Weddings and Events throughout San Diego and Southern California. Completing over 400 events since 2003, we have the unique ability to transform ordinary events into extraordinary celebrations through music, light, sound, personality and years of fulltime experience. 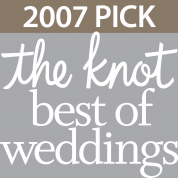 "A Refreshing Approach to San Diego Wedding & Event DJ/MC, Lighting and Production Services." Browse some of the recent weddings & events in San Diego.